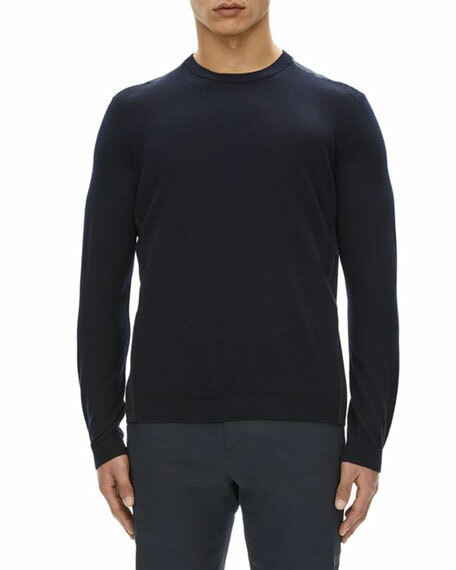 Theory "Camis" sweater in solid knit. Adidas velour jacket with signature 3-stripes down the sleeves. 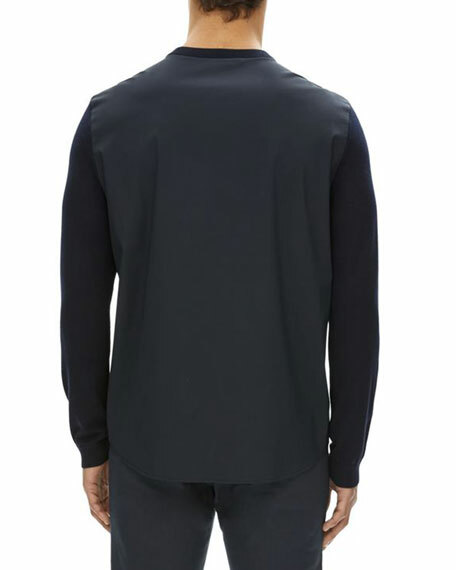 Stand collar; two-way zip front. Side slip pockets. Banded cuffs and hem. Cotton/polyester/spandex. Imported. Model's measurements: Height 6'1"/185cm, waist 32"/81cm, typically wears size M.
Brunello Cucinelli "Spa" hoodie in solid jersey. Drawstring, hooded neckline. Straight hem. Cotton/spandex. Made in Italy. Model's measurements: Height 6'1"/185cm, waist 32"/81cm, typically wears size M.
Ermenegildo Zegna sport shirt in square print. Spread collar; button front. Barrel cuffs. Shirttail hem. Cotton. Imported. Model's measurements: Height 6'1"/185cm, waist 32"/81cm, typically wears size M.